It would be understatement to say that I am a big fan of coffee. 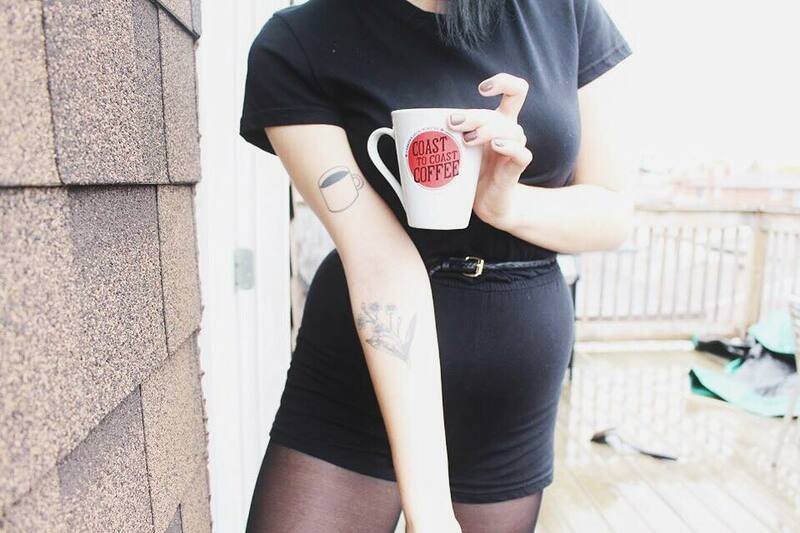 In fact, it would not be an exaggeration to say that I am such a big fan of coffee, I got a tattoo in its honour. I am a pseudo-coffee fanatic: I love its taste and thoroughly appreciate its caffeinated qualities, but am not a snob about it. I don’t understand what things like “cortado” mean and I’ve never been to a cupping. But I do know what a good cup of coffee tastes like. 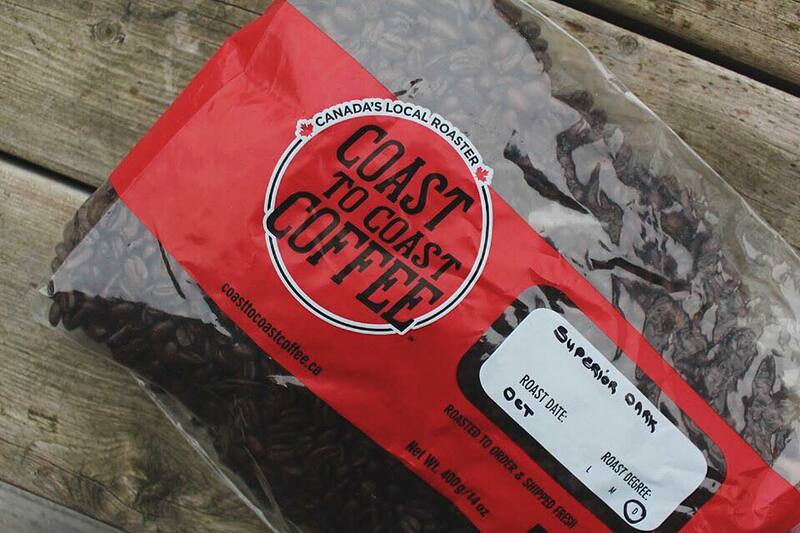 Coast to Coast Coffee is Canada’s local roaster. 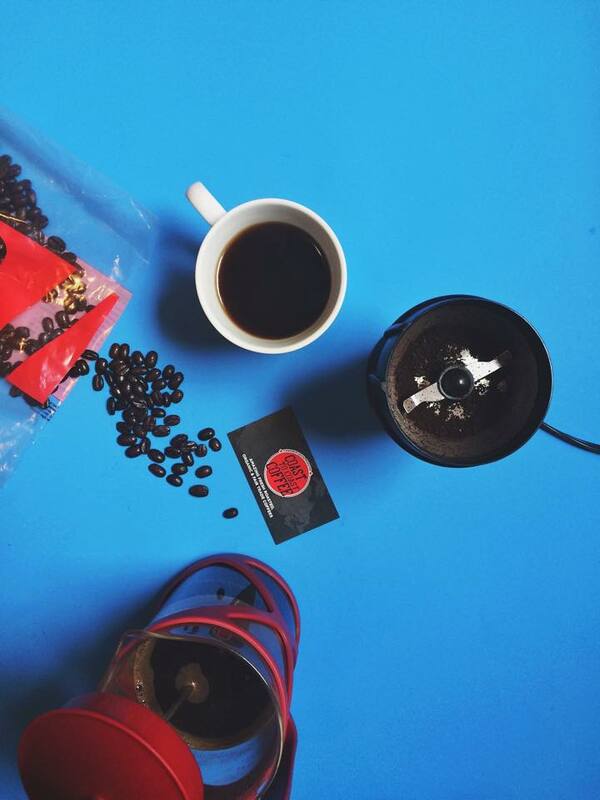 The beans are organic, fair trade and freshly roasted in small batches. DISCLAIMER: This is a paid product review. I tried Coast to Coast’s Superior Dark Blend. It took me a long time to wean my way off of refined sugar and gradually switch to drinking my coffee black, but I’m glad I’ve crossed over to the dark side. I was pleasantly surprised by the deep, rich taste of this blend! 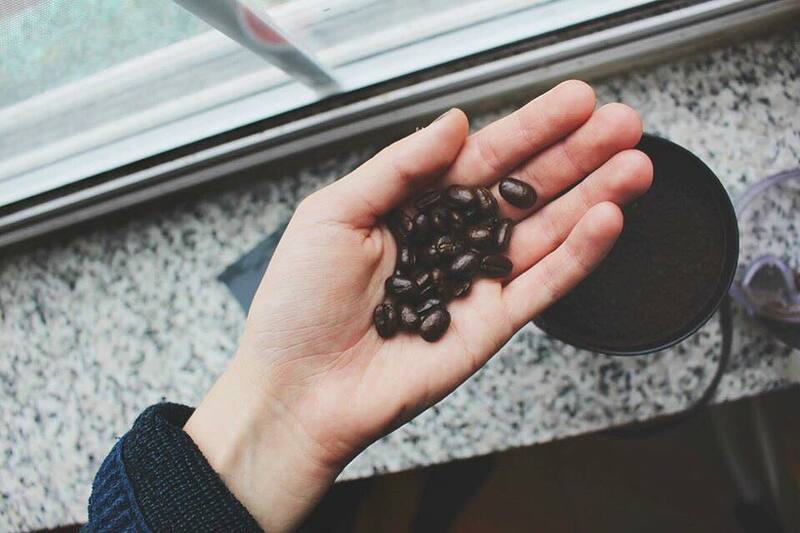 Once you try a cup of full-bodied coffee, it’s really difficult to have anything but. I’d recommend drinking this coffee black, with a touch of maple syrup or served as a full-blown cappuccino — made with almond milk, of course. 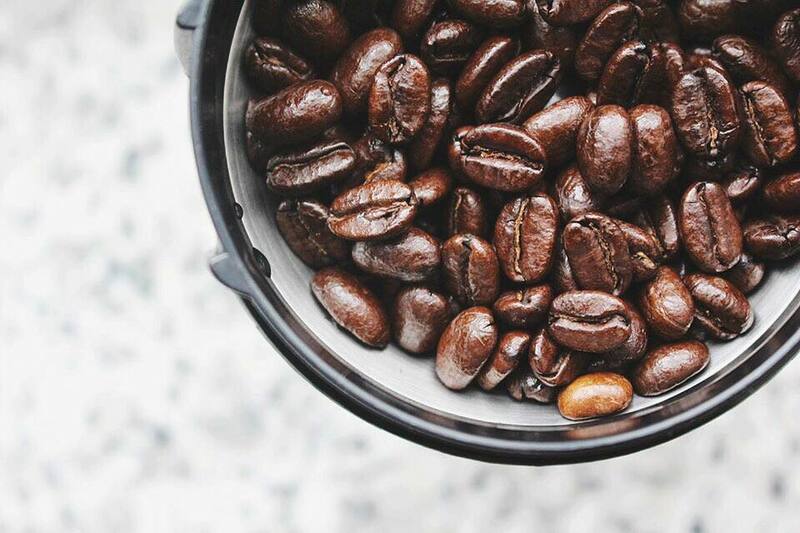 I ground the Coast to Coast coffee beans immediately before brewing it in a french press (also known as a coffee plunger, but that sounds surprisingly gross). I like to use this technique whenever possible it keeps the coffee pure and concentrated, and its built-in filter produces less waste. 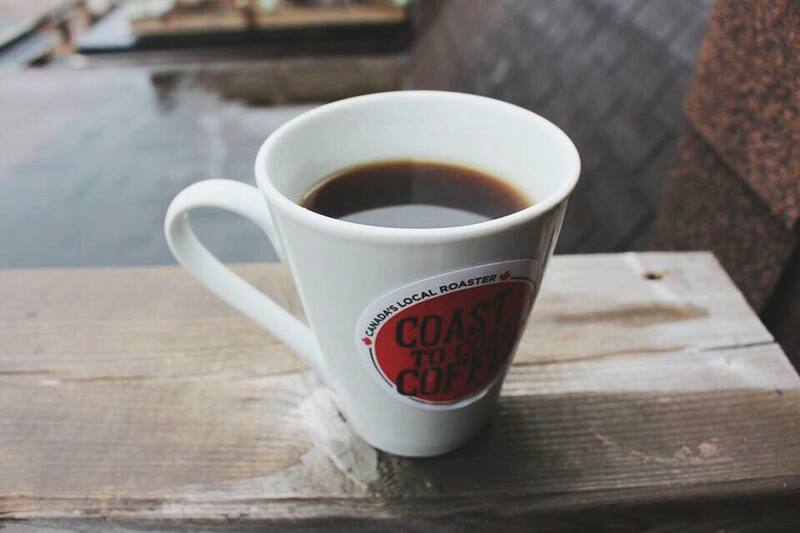 Coast to Coast Coffee Roasters has a variety of unique and convenient ordering plans to choose from. You can order on a weekly, bi-monthly, monthly or one-time basis. 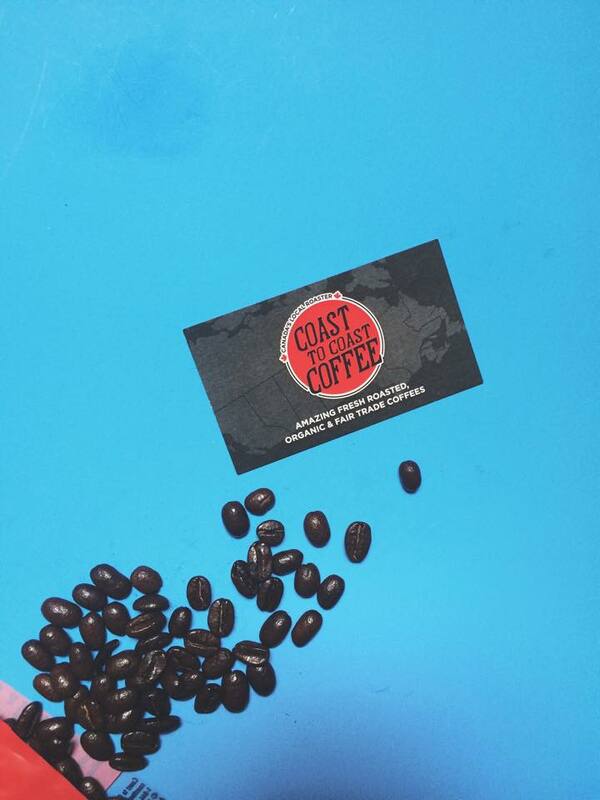 All plans include free delivery to your mailbox, and same day roasting and shipping (literally the freshest coffee you could ever dream of). The plans are pay-as-you-go, and you can pause or cancel your plan at any time. WANT A SWEET DISCOUNT? Use our code ‘vegangirlfriend5’ while ordering here for $5 off your first order when signing up for any recurring order (weekly, bi-weekly or monthly) from now until the end of November! Coast to Coast Coffee Roasters has this killer home delivery program, which I experienced myself when they sent me samples. 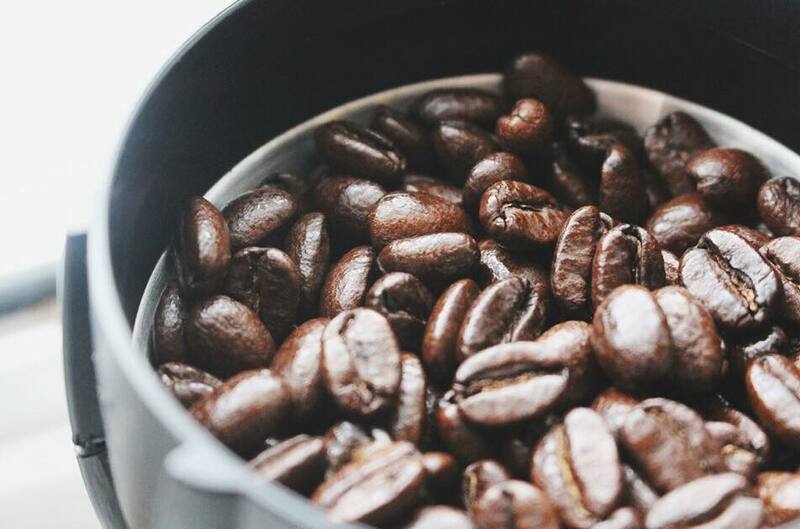 Coming home to a box of fragrant coffee beans? Yes please!